Zapier is a tool that allows you to connect apps you use every day to automate tasks and save time. You can connect the OMS to any of Zapier’s 750+ integrated apps together to make your own automations. What’s more it’s quick and easy to set up – you don’t need to be a developer, anyone can make a Zap! Triggers can be created for when a new agent, contact or property is added, and you can create notes on properties as actions. Connect the OMS to automate tasks with all your favourite apps! Learn more about Zapier here and here. What can you do with the OMS Zapier app? When a new contact is created in the OMS, it can send that contact (name, contact details etc) to the app of your choice. You can for instance send a contact to the MailChimp custom email marketing application or sales apps like PipeDrive, as soon as they are created in the OMS. 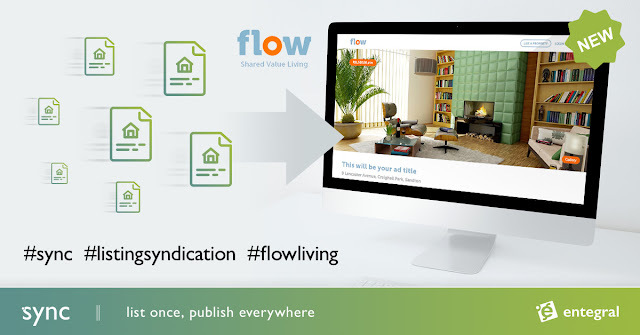 When a new property is created in the OMS, it can send that property listing, including a main photo, property details, location etc to an external app. You can for instance push a new mandate into a customized marketing process workflow in a popular project management app like Basecamp or Trello. If you use Slack for office communication, you can let everyone know about the new mandate. When a new agent is created in the OMS, you can send the agent details to an external app. You can for instance trigger a workflow in an external HR or Project Management tool or add the agent to your contacts in Gmail contacts. You can get external apps to create notes on property listings by supplying the property reference number for the property you'd like to add a note too. If you for instance pushed your listings to Airtable, you can insert notes back from Airtable into your listings through Zapier. 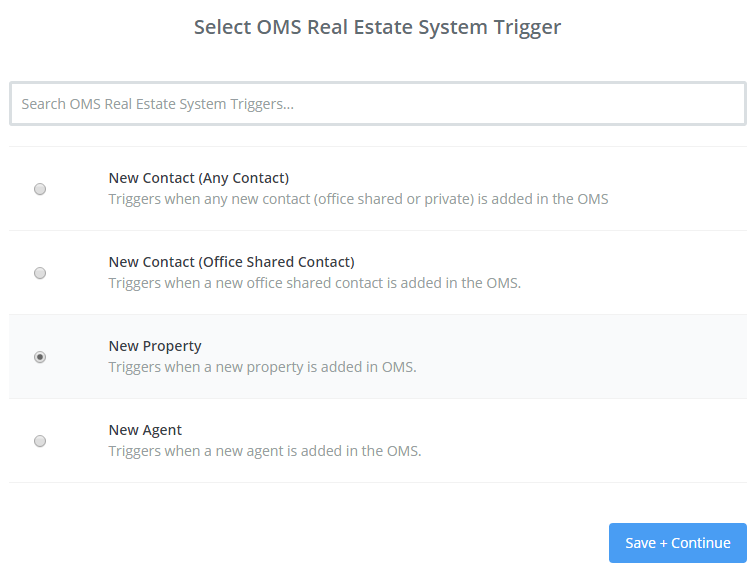 The OMS Zapier integration opens up endless automation and integration possibilities for your real estate agency. Keep an eye out for our next Zapier blog post that will take you trough setting up your 1st Zapier automation. To get started with Zapier OMS app, send an email to our helpdesk at support@entegral.net for a beta key, available from Monday 6 March.